Sapient leader will take over from Sarah Golding in March. Nigel Vaz, chief executive of Publicis.Sapient EMEA and Asia-Pacific, has been named the next president of the IPA. Vaz will take over from Sarah Golding, chief executive and partner at The & Partnership London, at the IPA's AGM in March next year. Vaz will outline his agenda for the following two years at the IPA's president's lunch in May 2019. 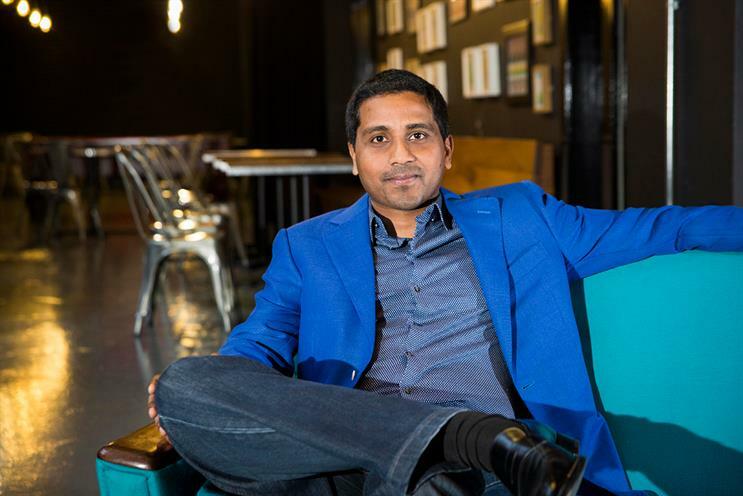 In addition to regional responsibilities at Publicis.Sapient, Vaz is global business transformation lead at parent Publicis Groupe and a member of its executive board. He joined the group when it bought Sapient in early 2015. Vaz said: "I look forward to building on the extraordinary work of my predecessors in championing our industry and its impact in the world. Wherever we look today, we see rapid and fundamental change affecting consumers, economies and culture, clients and our own businesses. "The creativity and the technologies that help us to unleash that creativity will be vital to helping navigate that change – and the role and work of the IPA in ensuring we are fit and ready for the opportunity it brings has never been more vital." Golding has been IPA president since March 2017. In her agenda she pledged to get the industry ready to embrace the opportunity new technology could bring: "The machines are coming and we are going to use them to make magic like we’ve never done before." Paul Bainsfair, director general of the IPA, said: "I am very much looking forward to working with Nigel to ensure the IPA remains the power behind the practitioners. He is a man who encompasses all the skills we need as an industry and who is already a well-known champion for technology and transformation. "We continue to live in interesting times and his perspective on world, as well as local, issues will be invaluable as the IPA carves out its global reputation through its thought leading initiatives, professional qualifications and navigates it way through increasingly complex business issues." Vaz’s appointment follows a three-month selection process. Tom Knox, executive partner at MullenLowe London and a former IPA president, led the presidential nominating committee. Knox was president prior to Golding. His agenda centered on the idea of advertising being a "force for good" and the association started to reports its diversity stats during his tenure.